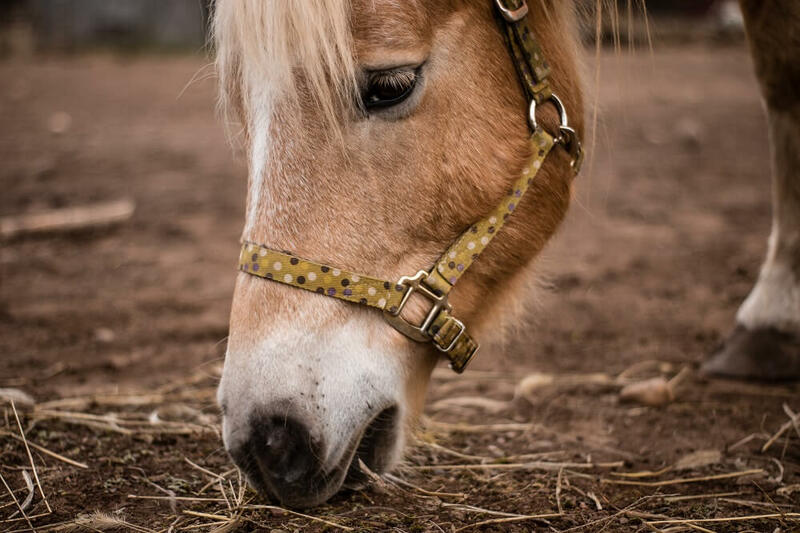 When determining how to feed your horse, it is always important to remember that horses are grazing animals. This means that they must nibble hay, grass or other roughage almost continuously for proper digestion. 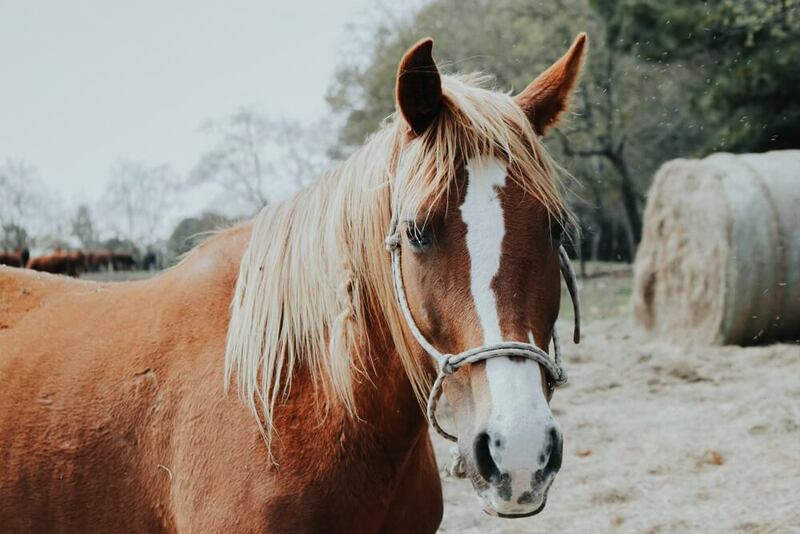 The greater part of any horse’s diet should be roughage, and it is wise to choose a form of roughage that supplies as much of a horse’s nutritional needs as possible. For most horses – especially “easy-keepers” – free access to good pasture and fresh clean water and a salt block will provide all necessary nutrients. Keep this in mind as you plan your horse’s feeding regimen. 1 What Kinds Of Roughage Are There? 3 Is Alfalfa A “Hot” Feed? 4 What About Grass Hay? 5 Is Alfalfa Good Or Bad? 6 How Do You Decide What To Feed? What Kinds Of Roughage Are There? The most commonly used form of roughage for horses is grass hay. Typically Timothy, Orchard Grass or Bermuda are used. For high performance horses and “hot-blooded” horses, legume hay such as alfalfa and clover hay may be used more. Many horse experts disagree as to the appropriateness of feeding alfalfa and clover hay. Some horse owners feel that grass hay alone does not provide enough nutrition. Others feel that alfalfa and clover hays are too rich for their horses and may cause excitability or even problems such as laminitis. Still others believe that alfalfa hay is the ideal food for a horse with laminitis. The truth lies in the fact that every horse is an individual and every situation is different. Designing your horse’s feeding routine is a matter of close observation and close consultation with your veterinarian. 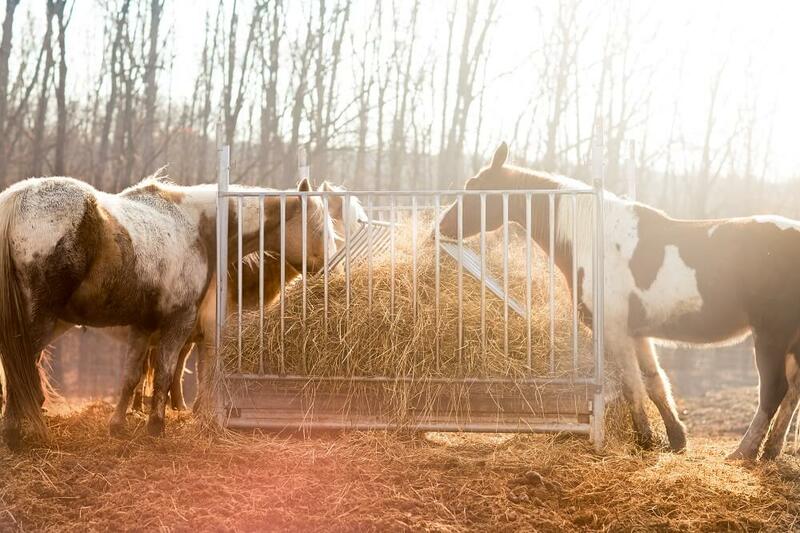 Not only are horses and situations different, the nutritional value of hay varies from one source to another, so it is not really possible to arrive at hard-and-fast rules for feeding hay. It is possible to develop a general understanding of the basic nutritional values of various types of hay. Protein and starch: Legume hay, such as alfalfa and clover hay, generally have a value of about 21% protein and about 11% simple starches. Generally speaking, grass hays provide about 10% protein and about 13% simple starches. Calcium: Alfalfa hay has about three times as much calcium as grass hay, and this is an important consideration when determining the calcium-to-phosphorus ratio for your horse. This should be approximately two-to-one. Phosphorus: Grass hay and legume hay have about the same amount of phosphorus, so feeding too much legume hay can cause the calcium-to-phosphorus ratio to become unbalanced. Is Alfalfa A “Hot” Feed? Many horse owners do feel that alfalfa makes their horses “hot” or excitable. This may be a result of simply feeding too much. A small amount of alfalfa provides a powerful punch of nutrition and protein. For this reason, you cannot feed it in the quantities you would grass hay. Even so, anecdotal evidence indicates that feeding alfalfa can cause problems with laminitis in some horses and especially in donkeys and mules, so, as with all feeding decisions take your equine’s individual needs into account and proceed with caution and veterinary advice. Generally speaking, grass hay such as Timothy has less nutrition than alfalfa, and that can be a good thing for a grazing animal. Remember that horses are supposed to nibble continuously for good digestion and general contentedness. For this reason, it is better for forage to be lower calorie and less rich. A good quality grass hay fed freely provides ample roughage and nutrition for the vast majority of horses. Simultaneously, you must keep in mind that grass hay contains more carbohydrates than alfalfa, so if your horse is obese and tends to gorge himself, grass hay could be problematic. Academically speaking, the higher amounts of carbohydrates in grass hay may cause problems for horses with chronic laminitis; however, anecdotal evidence suggests that alfalfa is more of a concern in this area. Is Alfalfa Good Or Bad? Many horse owners swear by alfalfa, and others swear at it. If you feed just the amount of alfalfa your horse would need for nutrition purposes, you would not be feeding enough roughage to supply your horse’s nibbling and digestive needs. Remember that in nature, horses eat lots of grass, which is abundant, and very little rich vegetation such as clover, which is less frequently occurring. Alfalfa does not exist in nature, so a horse would not encounter it at all under natural circumstances. How Do You Decide What To Feed? A hot-blooded performance horse or working horse in need of lots of energy might do very well with an exclusive or near-exclusive diet of alfalfa hay. An older, warm-blooded or cold-blooded companion horse would be likely to experience serious health problems with this diet. Some older horses who are easy-keepers and/or those that have had problems with laminitis cannot tolerate any raw alfalfa in the diet, but processed alfalfa pellets seem to be acceptable. It’s easy to see that there are good points and bad points regarding both alfalfa hay and grass hay. Generally speaking, it is best to see how your horse does on grass hay first. If he is able to keep weight on and seems happy with it, just stick with it. If you feel that he needs a richer source of forage talk with your vet about adding alfalfa. If he or she agrees, add this rich forage a little bit at a time and be vigilant about behavioral problems (excitability) and tender hooves. 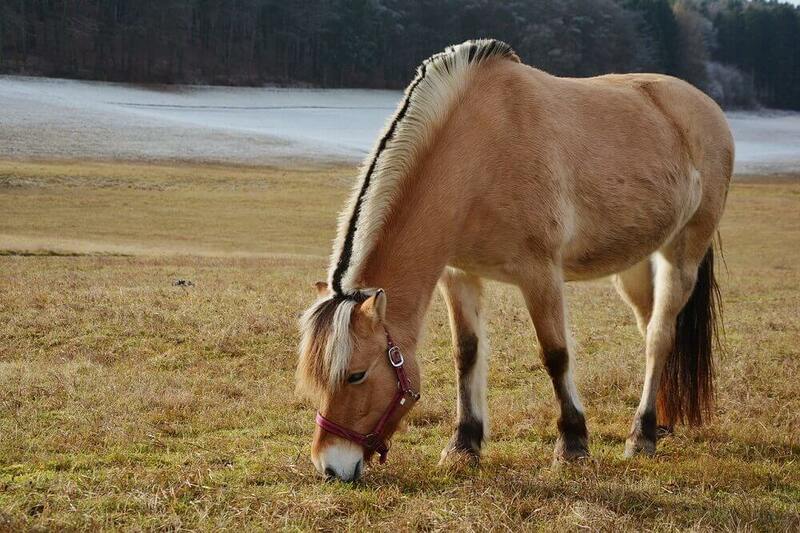 Keep in mind that feeding requirements change with the seasons and with your horse’s changing condition. Stay in close communication with your veterinarian to determine the best feeding regimen for your horse.